Of course, I realised that there would be assumptions in the Army about what shade of man was properly officer material, but I had expected these to be unspoken assumptions, a matter of a nod and a wink and a murmured ‘He’s not quite one of us,’ about someone of possibly dubious heritage. I had not expected the racial question to be there on an official form. When I saw this, with its explicit racial question, and tear-off corner to make sure that recruits of different races would be kept apart, I remember that I allowed myself a moment of British superiority, and a feeling that at least our racialism wouldn’t have been quite so blatant. I’ve now started to wonder when this form originated. When it was thought a priority to keep white and native officers separate, especially in India? I’m also wondering how long that question stayed on the form. Was it still there in the Second World War? I trust that it’s still not there today. Does anyone know? This entry was written by George Simmers and posted on August 8, 2014 at 5:19 pm and filed under attitudes, Military. Bookmark the permalink. Follow any comments here with the RSS feed for this post. Post a comment or leave a trackback: Trackback URL. Was there any effort made to weed out the Jews? The British Army in the Great War absolutely did not “weed out the Jews.” Entire battalions were made up of British Jews, and many individual Jews served in British Army regiments without any particular rejection or restriction. After all, one of the strongest voices among wartime poets was Lt. Siegfried Sassoon, MC, Royal Welsh Fusiliers. Yet Sassoon was raised by his christian mother in the Church of England, and converted to Roman Catholicism later in life. He tried through most of his life to distance himself from his Jewish ancestry, in order to be accepted in the upper-middle-class circles he associated with – to include members of the officer corps. Issac Rosenberg, a poet serving as a private, wrote of experiencing significant anti-semitism from other soldiers in the ranks, even reflected in his poetry. Though not official, anti-semitism was a problem. If Isaac Rosenberg suffered any anti-Semitism while in the army, it was likely only by a few individuals, no worse than the usual regional/personal jibes experienced often by soldiers regardless of origins. Few surviving veterans of the 1lth Bttn. King’s Own Regiment, were aware of Rosenberg’s reputation as a war poet, yet they still remembered him as a comrade. They spoke of him as an untidy, polite, but painfully reserved man. “That same night, it was my duty to take rations up the line, and collect Mr. Stemberg’s body to take it back on the same limber cart for burial at Marizincourte Cemetery. I found it a difficult task,” said ex-Corporal Stansfield. “It was hard to hold the body on the limber, because of the rocky roads and of course, his rubber ground-sheet got in the way. * Isaac Rosenberg was killed by a German raiding party on April 1st, 1918, near St. Quentin. Unlike the US Army, which had very clearly defined racial demarcations, the British Army at the beginning of the Twentieth Century observed no definite rules on the question one way or the other (I am speaking here specifically of the British Army, not of Britain’s many colonial militias). Part of the problem was that there was little definite legal sense to draw on of how being a ‘white’ or ‘European’ British subject differentiated you from being one of the King’s many other subjects. What rules there were seem to have been interpreted flexibly. For instance, while the 1914 Manual of Military Law apparently excluded ‘negroes’ and ‘mulattos’ from exercising commissioned rank, Walter Tull the celebrated footballer was promoted to second lieutenant in 1917 (and died the following year during the German spring offensive). Apparently, between the wars, the War Office exercised an official policy that no non-whites could join the regular Army either as ORs or as officers, but it was a rule that was often overlooked in cases in which men of mixed or indeterminate race applied (the Army was so short of men that it could scarcely choose to be that picky). 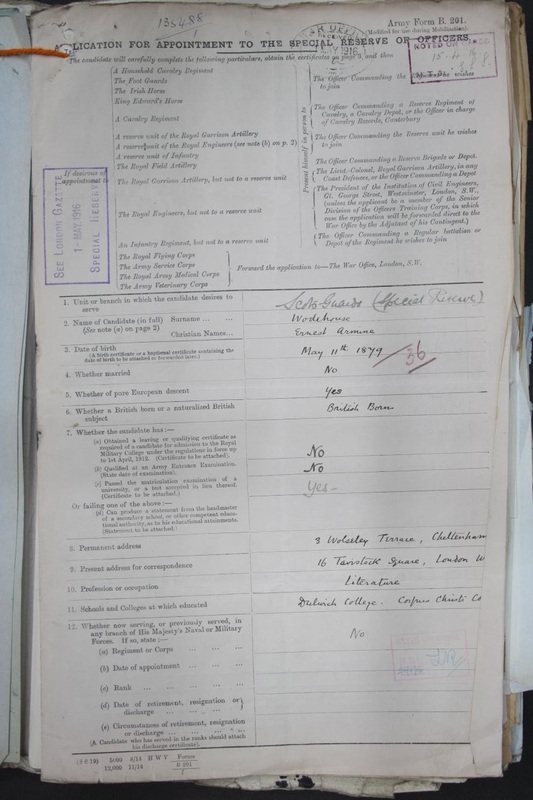 At the beginning of WWII, partly due to pressure from the Colonial Office, the racial bar was abandoned and so Joe Moody (son of Harold Moody) was allowed to apply for a commission in the Queens Own Royal West Kents. A few West Indian-born doctors were also allowed into the RAMC. These were rare cases, however. The Army never opened its ranks to the Empire in the same way as the RAF. As you say, the rules were flexible. There was a recent picture in The Observer- http://www.theguardian.com/theguardian/2014/jul/27/witness-to-war-1914-18-remembered – which showed a black Colour Serjeant in the Royal West Kent Regiment. My guess would be in part to identify Anglo-Indians, a concern with very strong 19c. roots in Britain. Quite a few army officers in the nineteenth century and after had Anglo-Indian ancestors- most notably Field Marshall Lord Roberts of Kandahar. Brigadier-General Horace Sewell who commanded the 1st Cavalry Brigade in WWI is said to have had black ancestors on his mother’s side and was nicknamed “Sambo”. 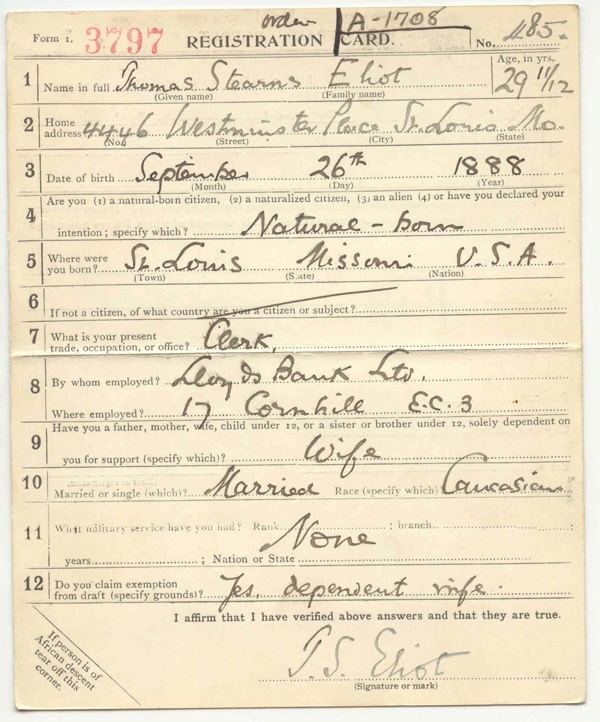 The application for officer’s commission asked the question, “British born ?” which was a matter of *nationality* not racism.